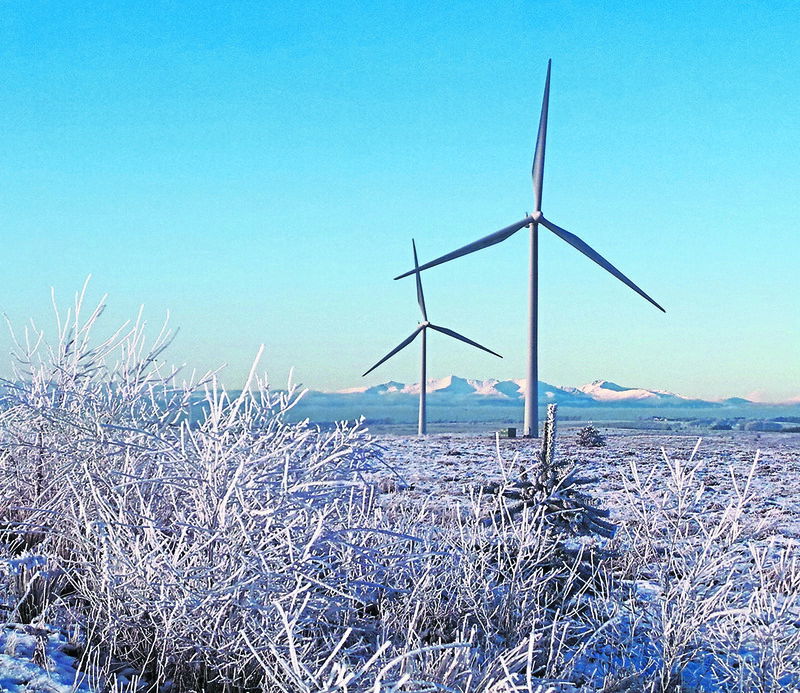 Photo issued by ScottishPower Renewables of Anni Doyle's photo which was shortlisted for the Whitelee Windfarm Instagram photography competition. PRESS ASSOCIATION Photo. Issue date: Tuesday February 7, 2017. The competition gave budding photographers the chance to win a digital camera by entering their most impressive pictures of Whitelee Windfarm in Scotland, considered to be the worldÕs most Instagrammed Windfarm. See PA story SCOTLAND Windfarm. Photo credit should read: Anni Doyle/PA Wire NOTE TO EDITORS: This handout photo may only be used in for editorial reporting purposes for the contemporaneous illustration of events, things or the people in the image or facts mentioned in the caption. Reuse of the picture may require further permission from the copyright holder. Payments made to onshore wind farms hit a record high last month. Figures provided by the Renewable Energy Foundation (REF) show that constraints payments paid to Scottish onshore wind farms hit £30.9 million in March. The figure was described as a “growing problem” by the REF, the UK charity that first drew attention to constraint payments in the wind energy sector. The Scottish Government confirmed it “was aware” of recent issues affecting the Scotland to Great Britain (GB) interconnector. John Constable, director of REF, said: “Constraint payments to wind power are a continuing and it seems still growing problem. “Furthermore, the prices demanded and received by wind power continue to exceed the lost income by a large margin, meaning that wind farms make more money per unit of electricity when prevented from generating than when selling to a customer. Constraints payments are amounts paid to energy providers when an excess of energy is being supplied to the grid. Often, due to the inefficiency of Scotland’s grid system and the remoteness of many wind farms, the energy they generate cannot then be transported elsewhere. In many instances, onshore wind operators will be asked by the National Grid to power down to prevent them producing an excess of energy that cannot be used. Each time this happens the wind farm in question will receive a sizable constraint payment through the Renewables Obligation. The £30m price tag for powering down is the largest to date, beating the £28m payout in September last year. Payments have rocketed over the last five years, when they averaged two or three million pounds a month. Scottish energy minister, Paul Wheelhouse, claimed that new electricity infrastructure connecting Scotland and the UK would “reduce the need for constraint payments to operators when the grid is unable to transmit power”. He added: “We are aware of recent faults in the operation of this key new interconnector. “The GB electricity system operator, National Grid, is clearly aware of this, and efforts continue to restore the link to full service which should help alleviate some of the current constraints and the need for payments.